This course is perfect for beginning options traders! This course is not for the financially risk-averse! Learn the strategies that experienced investors are using to make tremendous profits in the world of options. The instructor has students and clients that have turned $3,000 into $80,000 in under six months! 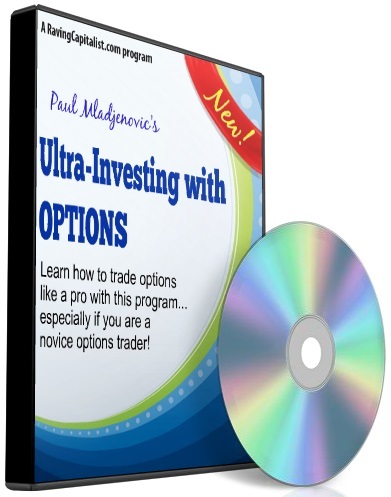 He'll show you how to use options on stocks, indexes, gold, oil, or other commodities. With these investments, you can make a small fortune overnight or (if you’re not careful) lose one. This course shows you how to do it the right way from an investment pro that is consistently doing it successfully. This exciting one-session program shows you how to minimize your risks and maximize your gains. Learn safe strategies with call & put options, speculate with as little as $500, use options for either quick gains or a steady income. Learn to use resources and websites to help you track the markets and gain the valuable information you need to succeed. If you want a serious approach to learning how to make money quickly by using tested techniques and proven methods, this is the place to start!